You’ve worked and thought hard before buying a new Suzuki, and now it’s yours. You made a great choice in Suzuki because its quality, performance and durability are second to none. A lot of owners just like you have made the smart purchase decision: to buy a Suzuki Extended Protection plan, an exclusive product of Suzuki Motor of America, Inc. While Suzuki’s production techniques and materials, as well as its standard warranties, are the best, today’s motorcycles and ATVs have become increasingly complex. In addition, parts and repair costs have accelerated as fast as the technology. While mechanical failures are rare in today’s Suzuki models, you can protect yourself from potentially high costs for years after your standard warranty runs out by investing in extended protection. SEP can be added only during the Suzuki Limited Warranty period, so don’t wait! You can purchase SEP from any authorized Suzuki dealer or directly from Suzuki online or by phone today. Now is the time to take advantage of the Suzuki Extended Protection plan. SEP initially runs concurrently with your Suzuki Limited Warranty (giving you additional benefits), and then continues giving you top-quality protection for years to come. If you have any questions about your Suzuki Extended Service Plan before or after you buy, our customer service representatives can help! Send all your questions about SEP to info@suzukisepdirect.com. You will face no out-of-pocket expenses. 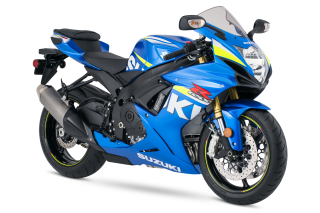 Suzuki will take care of the entire cost of covered parts and repairs using Genuine Suzuki Parts (SEP contracts for used Suzuki motorcycles and ATVs have a small deductible per claim). Your Suzuki was built to be ridden, and we encourage you to do just that. 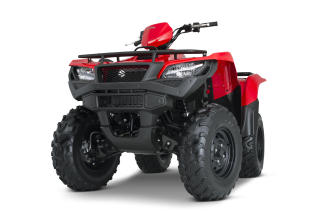 Like the Suzuki Limited Warranty, there is no mileage limitation, so you can use and enjoy your Suzuki motorcycle or ATV to its fullest for a long, long time. In the event of a covered breakdown, SEP will repay the costs of transporting your Suzuki to your nearest dealer; up to $50 per occurrence. If your Suzuki has a covered breakdown, we will repay your out-of-pocket rental vehicle costs up to $20 per day for a maximum of six days. Should you need help with a claim or have questions, you can call SEP’s toll-free number for assistance: 877-473-7669, Option 1, Option 1, Opt. 4, weekdays from 8:30AM to 8:00PM Eastern. Your SEP plan is transferable one time to the next owner during the life of the plan, increasing your Suzuki’s resale value. ©2019 - CornerStone United, Inc. All rights reserved.